Engraving glass is an enjoyable way to create beautiful, personalized items to use in your home or to give as gifts. 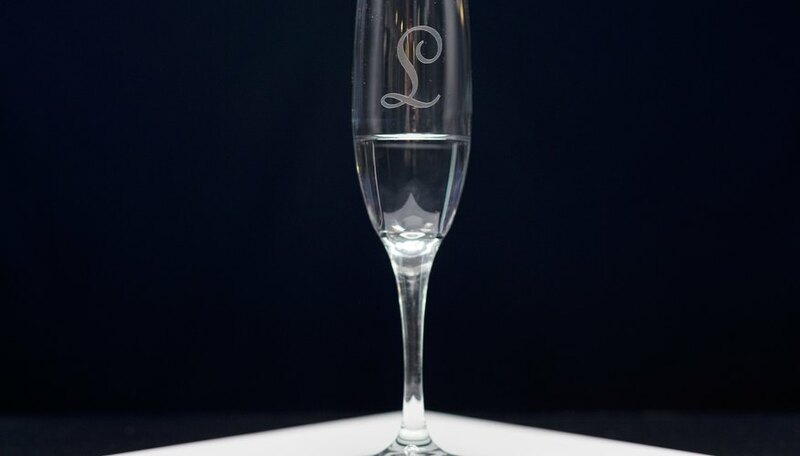 Though it is a delicate process, the task isn't as daunting as it may seem; just about anyone can create beautiful engraved glassware with the right tools. After you've mastered this technique, you can move on to other surfaces, such as serving dishes or sun catchers. 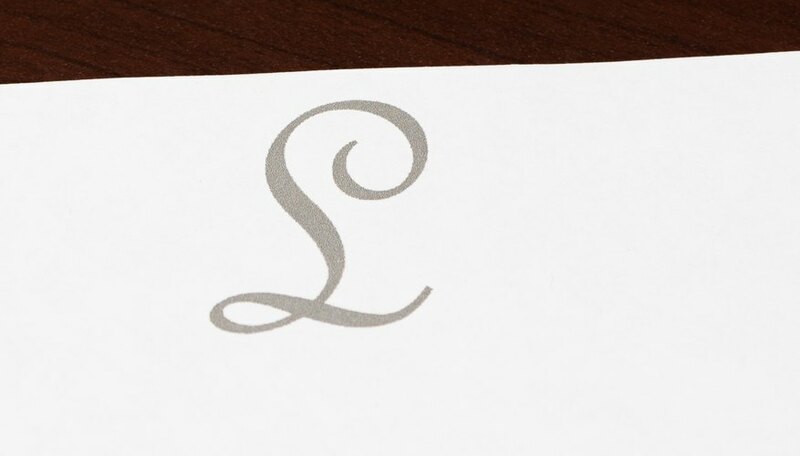 Sketch a freehand design on a piece of paper or print one from your computer. 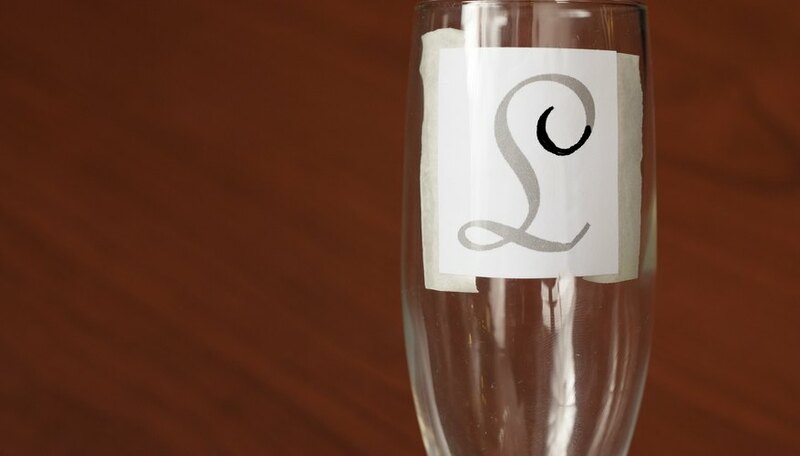 Tape the design to the inside of a wine glass or glass mug. If you are etching a glass plaque, tape it to the underside of the plaque. Use the permanent marker to trace the design directly onto the surface. Remove the paper. Place the glass on a nonskid surface with the design facing you. Don goggles, gloves and dust mask. 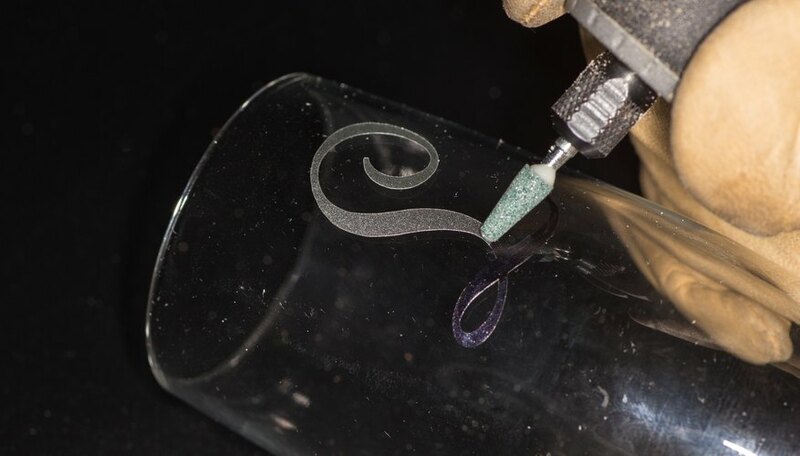 Holding both the glass and the engraving tool securely, use the engraving tool to gently trace over the lines you drew with the permanent marker. Be careful not to cut the glass too deeply. Brush off the glass dust with a damp paper towel. If any of your marker lines are still visible, use a cotton ball dipped in alcohol to remove them. You may need to make a second pass over certain parts of your design; some lines may initially be less visible due to the differences in thickness of the glass. Use small, light strokes. Placing your project on a dark surface may make it easier to see the details in your design. If you are working on a glass, stuff a dark piece of fabric inside the glass. You can use a thick book or something similar to rest your hand on as you engrave. This will keep your hand steady and put less stress on your wrist. Practice engraving on a scrap piece of glass before engraving valuable stemware. Generally, use diamond accessory bits for fine lines and carbide bits for thicker lines. Consult your rotary tool instruction manual for specific instructions for your rotary tool. Glass dust can still cut, so always wear your protective gear not only when engraving but also when cleaning your work area. Do not make deep cuts into your glass or press hard, as it may crack or shatter.